Findlay, Thursday, July 2, 2015 — This Fourth of July, many people will be traveling, firing up the backyard grill or enjoying fireworks, and the American Red Cross offers a series of steps everyone can follow to safely enjoy the holiday weekend. “Everyone looks forward to having fun over the Fourth of July, and the Red Cross wants to make sure people know how to stay safe while enjoying the holiday,” said Todd James, Executive Director, North Central Ohio Chapter. EMERGENCY APP People can download the free Red Cross Emergency App to receive severe weather watches and warnings in their local area, at travel destinations and where loved ones live. “Family Safe” is a unique feature that allows app users to notify family and friends who are in an area affected by an emergency or disaster. First Aid steps for situations such as heart attacks, heat-related emergencies and water safety information are also included. The content is available in English and Spanish. 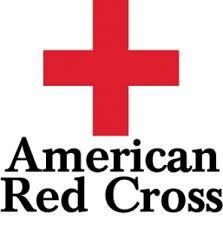 The app can be downloaded from app stores by searching for “American Red Cross” or by going to redcross.org/apps. Earlier this year, the Ohio Buckeye Region launched Project Prepare, a two-year initiative that seeks to prepare a half million Ohio residents by making emergency plans, building kits and getting trained ahead of disasters. With support from individuals, organizations, businesses and government agencies, our goal is to create more resilient communities that are better equipped to help each other prevent, prepare for and respond to life-threatening emergencies.